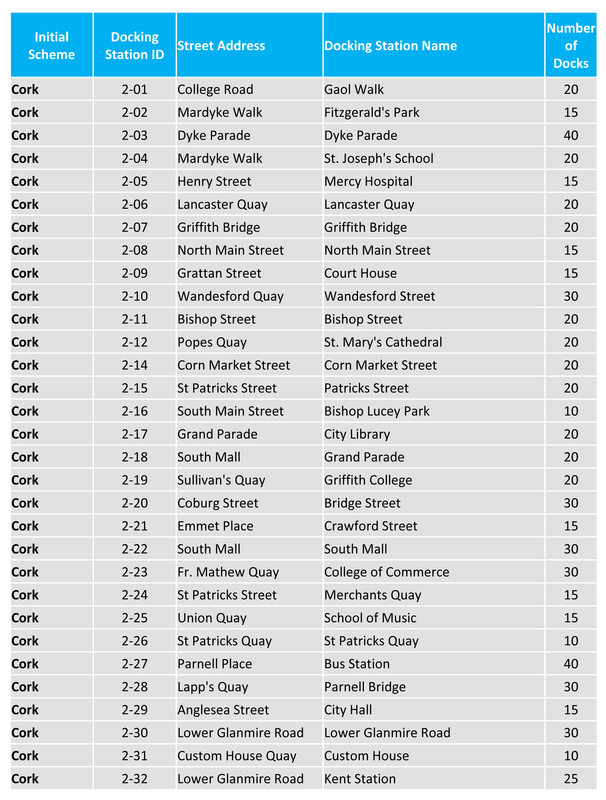 Contracts have been signed with a consortium of companies which will run the Coke-Zero public bike share system in Cork, Limerick and Galway, however the launch window has become more vague than before. 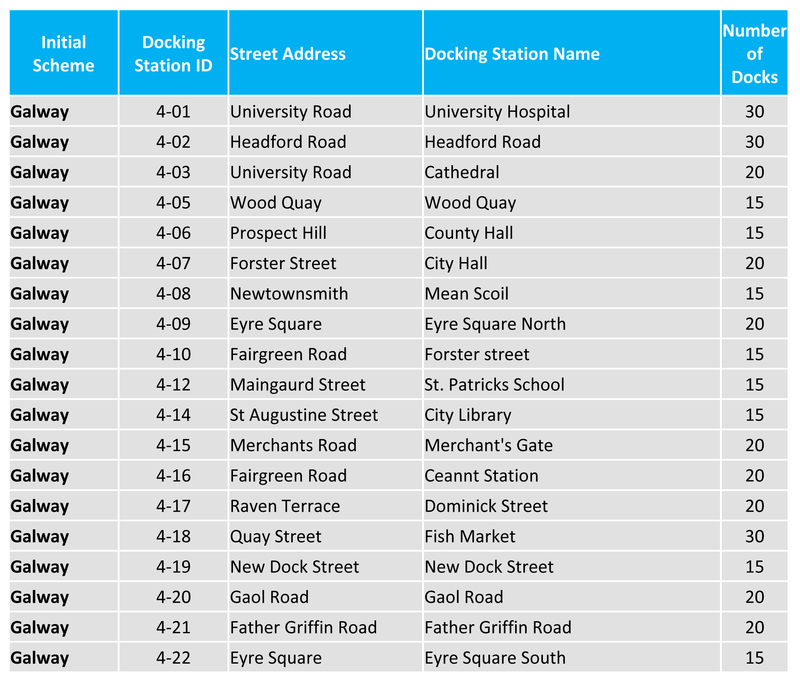 Last year the Department of Transport said the regional bike share systems would be up and running by June of this year. In April, IrishCycle.com was the first to confirm and report that this would not be the case. The contract for the supply, installation, maintenance and ongoing operation, worth €4.5 million, has been won by a group called An Rothar Nua Consortium. The NTA says that the annual operational cost will be “about €1.25 million per year”. The Rothar Nua Consortium is made up of Tracetel SA (based in France); West Ireland Cycling Limited (based in Galway); Centre d’Initiative et Gestion Locale of Esch-sur-Alzette (based in Luxembourg); and Mobile Research Solutions Limited (trading as ParkbyText and based in Dublin). The roll‐out of the schemes is being made possible following an agreement by Coca‐Cola Ireland to partner with the National Transport Authority. Through the agreement, Coca‐Cola Ireland will be investing €3m over five years in the project, supporting the operation of the bikes. Tracetel SA has provided bicycle docking stations and back-end systems for bike share systems in cities, including elements of schemes in Lille, Bordeaux, Rennes, and Strasbourg. 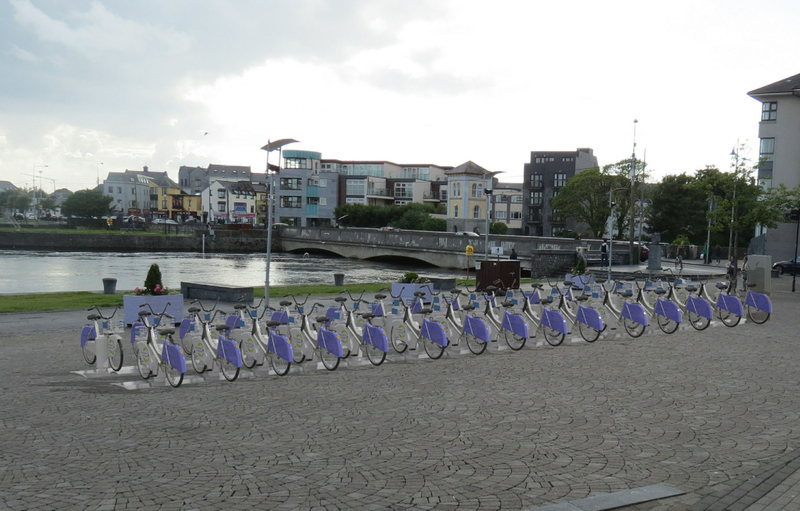 The Galway-based West Ireland Cycling maintain their own fleet of rental bicycles, have maintained the regional An Post fleet of delivery bicycles for 15 years, and they had maintained the short-lived NUI Galway campus bikes. The Centre d’Initiative et Gestion Locale of Esch-sur-Alzette (Local Initiative and Management Centre) is a non-profit involved with operating bike share system in Esch-sur-Alzette — the NTA say that the centre will provide specialist training and set‐up services to the new schemes. 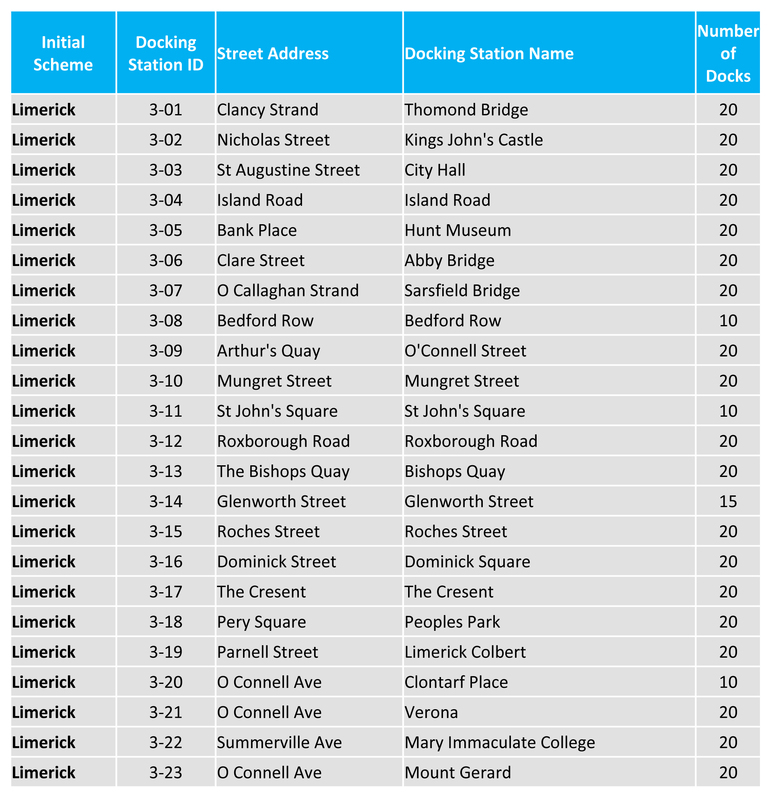 ParkByText operates a cashless paying system for over 200 car parks in Ireland and the UK. No pricing details were released but the NTA said that the scheme “will have similar or lower membership subscriptions and user fees to Dublin Bikes at scheme launch.” Based on original DublinBikes prices, users should expect to no more that €10 a year for long-term subscriptions and rentals should be free for the first half hour of use. Bike schemes of this type generally use a scaling system after the first half hour which discourages longer rental times and keeps bicycles available for other users. Any idea who I can contact about getting one of the bike racks docked at GMIT in Galway? know it is not ‘in the city’ but a real shame not to have the bikes there as there is a bike lane all the way in to town. The NTA and the city council, but it looks like they have made up their minds on the stations. I’ve heard complaints re limited spread of stations in the three cities.